Oregon Young Insurance Professionals - join us in Salishan! Tap the banner above for more information! PIA's Kickoff of the Oregon Young Insurance Professionals Meeting — An Incredible Success! The inaugural meeting of Oregon’s Young Insurance Professionals Association (OYIP) happened last Thursday night in Salem, Oregon. The point of the association is for older agents and company representatives to mentor Oregon’s young and new insurance agents. One OYIP, Andrew Shepherd is getting ready to start his own agency. He lives in the Portland, Oregon suburb of Gresham. Andrew — who watches his children in the evenings — learned about the event a couple of hours before it happened. Impressed, he quickly found a babysitter for the kids, hopped in his car and made it to Salem on time and ready to connect with others in the industry. “It is an awesome experience. It is wonderful that you guys are able to connect very knowledgeable people to those of us who are new to the business,” Andrew told Weekly Industry News. As for the benefits of his hastily organized trip? “I got some good connections that I will be calling later. These are good people to know,” Shepherd said. Good people to know, indeed. But that’s the point of the Oregon Young Insurance Professionals Group. Saying last Thursday’s kickoff is a success is an understatement. Salem’s Ram Restaurant and Brewery was packed with agents young and old; all there to exchange business cards, life stories and discuss all-things insurance. Former PIA Oregon/Idaho Agent of the Year, Mike Joy of Sublimity Insurance is one of the event organizers. He’s been in insurance since 1994. Like many of the insurance professionals Weekly Industry News talked with during the evening, Joy said throughout his career he benefitted from an industry that regularly met in events like conventions and conferences. In those days there was strength in numbers. Joy said that is still true today but networking, and ways for agents to connect with others in the industry has — sadly — declined. Like Joy, Red Shield’s Jim Brown — a one-time PIA Oregon/Idaho Company Person of the Year — has been a huge supporter of the PIA since he entered the business years ago. “You have to bring new blood into insurance. Old farts like me will soon be gone. Without young blood in this industry it is going to die. And we don’t want that to happen”, Brown noted. Sam Patterson is a young agent working at Rhodes Warden Insurance in Oregon’s beautiful Mid-Willamette Valley. He’s brand new to insurance — sort of. Like many who get into the business, Patterson has family in the industry. His father — Mike Patterson — is Rhodes Warden’s president. An agent for just five months, Patterson said he likes the hours and the freedom of the business. The hours are great, and he’s in a place where he and his wife can comfortably raise their children. That said, even though his dad is in the business, and he very much appreciates his father’s input into his career, and though he’s quite familiar with insurance, Patterson says he needs to develop his own contacts and find ways to get advice from others in the industry. Success in insurance — Patterson notes, and that those who’ve been in the business for a long-time attest — all boils down to relationships and connections, and the good advice that comes from them. “Many of the people here have been in the business 20-plus years so they have a wealth of knowledge. There are things they can steer me away from and I’m all ears. I’m definitely open to their advice. I do know you have to work hard. You get out of it what you put into it,” Lort said. Like others that are new to insurance, Easton said he’s trying to find his way in this community while learning how he can be involved personally and connect to people in his own community. He — like others attending the kickoff meeting — believe an organization like PIA’s OYIP committee is good for the perpetuation of the association. “The PIA needs to get young agents to learn about us, and what the association can provide to them as far as learning about the industry, education and the importance of belonging to an association,” Sorem added. Are you interested in joining the Oregon Young Insurance Professionals Association? Contact PIA’s Joey Leffel for more information about how to get involved. She can be reached at 888-246-4466, ext. 116. As the cliché goes, in case you didn’t get the memo, the first meeting of PIA Oregon/Idaho’s Young Insurance Professionals Association (OYIP) is this Thursday in Salem, Oregon. We’d love to have you join us. Shawn Carter is with Capital Premium Financing. He’s one of a group of PIA Oregon/Idaho members that founded the Oregon YIP’s group. He said the group’s focus is on insurance professionals 35 and under. However, involvement can also apply to those 35 and over that are new to the insurance industry. Since insurance is an industry with unique challenges, the association’s founders are providing assistance and mentorship of professional development via the sharing of business tips and other information from peers and older professionals. Networking — Carter said — is the main purpose of the new group. Another purpose of the first meeting is to grow the association with more involved Leadership and service for Oregon’s Education and Conference Committees and the Oregon Board of Directors. This is just the first meeting. Others will come from this event and each meeting will be packed with practical, up-to-date information that attendees can apply immediately. Need more information? Click here for more information and an email contact. 2019 Oregon Young Insurance Professionals Events. 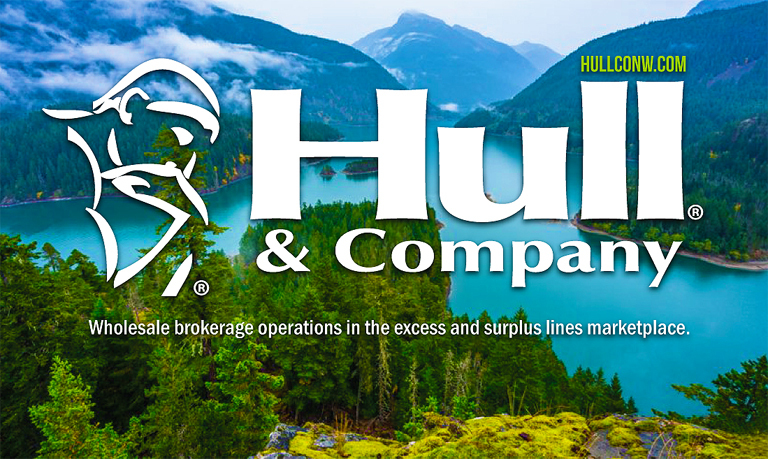 Attitude of Gratitude: Thanks a lot, Hull & Co NW! 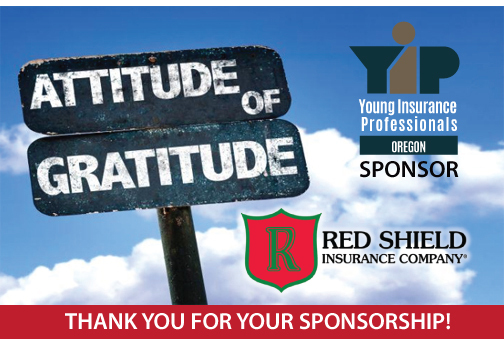 Oregon Young Insurance Agents Could Use Your Help! If you don't mind...I’d really appreciate if you could spread the news of this event to young Oregon Insurance colleagues, and NEW agents (regardless of age)! If you have any questions, please don’t hesitate to email me! Hope to see a bunch of RSVPs in my inbox!! Thanks for your help and supporting the PIA Western Alliance Young Insurance Professionals.